In anticipation of Friday’s 50th birthday celebration, the Royal Albert Hall has posted a short Q&A with Michael. Click here to read “Five Questions with Hollywood movie composer Michael Giacchino”, and be sure to get your tickets for Friday night’s big concert! Michael speaks to Classic FM about some of his favorite cues! Over the weekend, Michael spoke to Classic FM about some of his favorite cues, click here to find out what he told them and to hear some great insights on how he approaches a film. Michael’s 50th birthday concert is fast approaching. Don’t forget to get your tickets to join J.J. Abrams, Matt Reeves, Brad Bird, Pete Docter and others celebrating Michael’s 50th Birthday at the Royal Albert Hall next Friday, October 20th! The Royal Albert Hall in London is pleased to announce that directors J.J. ABRAMS and MATT REEVES will join their friend and colleague Michael Giacchino on stage to help celebrate Giacchino’s 50th birthday. 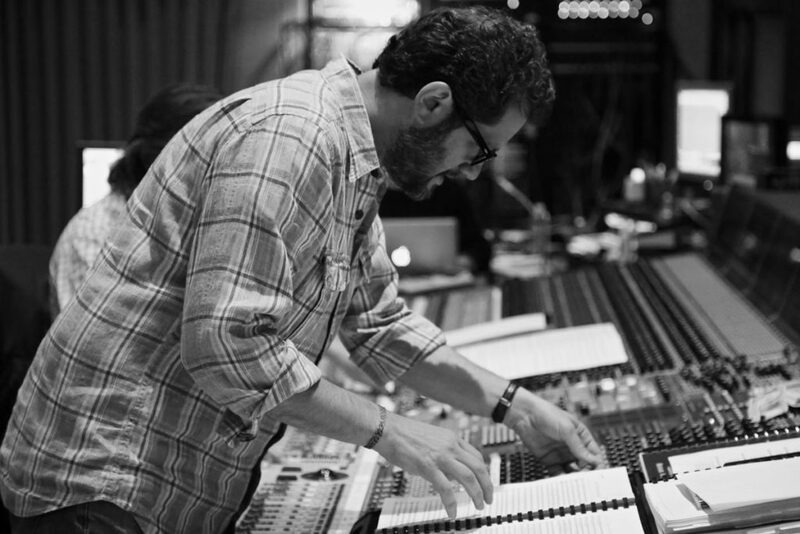 Abrams and Giacchino have worked together since the hit TV series, Alias, and on feature films including Star Trek, Mission: Impossible 3, and Super 8. Reeves and Giacchino have collaborated four times, their most recent project being this summer’s critically acclaimed War for the Planet of the Apes. 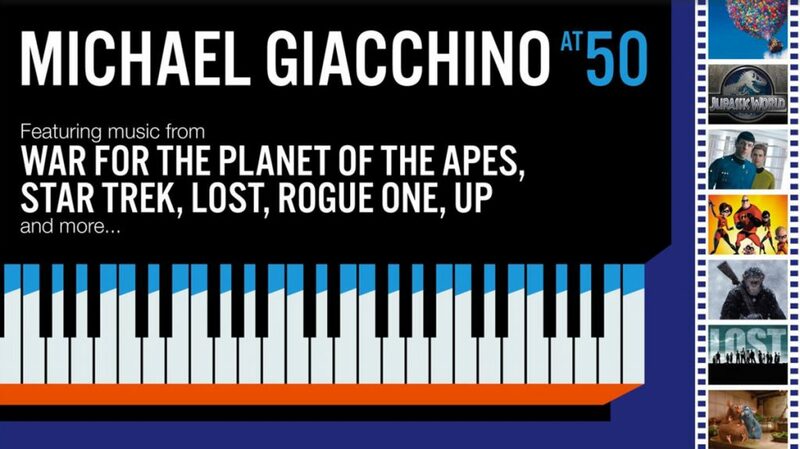 The special birthday concert, MICHAEL GIACCHINO AT 50, will be held at the Hall on October 20th, and plans to be a lively retrospective of Giacchino’s work featuring world premiere concert pieces from Rogue One, Up, Ratatouille, War for the Planet of the Apes, Star Trek, Spider- Man, and more. 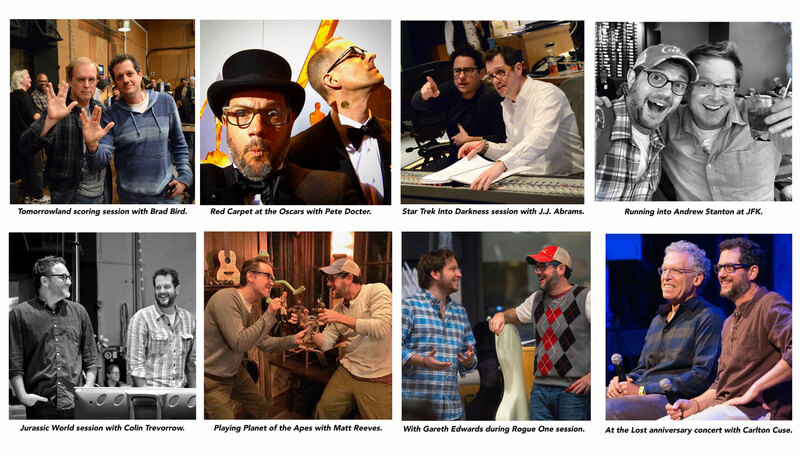 Abrams and Reeves are the latest to join the “filmmaker friends” of Giacchino. It was previously announced that BRAD BIRD (Ratatouille, The Incredibles), CARLTON CUSE (Lost) PETE DOCTER (Up, Inside Out) GARETH EDWARDS (Rogue One), ANDREW STANTON (John Carter), and COLIN TREVORROW (Jurassic World), will be on hand to introduce musical suites from the films that they have directed and to share some stories. “I am honored that these incredible filmmakers are taking the time out of their schedules to join me on that stage at the Royal Albert Hall. I am fortunate to call them friends, and thrilled that they will be there to celebrate with me. In many ways, this is their show as well, because it was their vision and storytelling that inspired the music we’ll be performing with the Cinematic Sinfonia that evening.” Giacchino says. The concert will be hosted by self-described “maker of things” ADAM SAVAGE (TV’s MythBusters, tested.com). “As a movie geek, it’s insane to think that Michael has penned music for many of my all time favorite movies- hell, I think I have a costume or prop from nearly every one of his scored films! Being his friend is icing on the cake. Emceeing his birthday at the Royal Albert Hall?! Have to pinch myself. It’s going to be a stellar evening and I can’t wait,” said SAVAGE. In addition, the best selling string quartet BOND will be performing a new arrangement of “Married Life” with orchestra, from Giacchino’s Academy Award© winning score to Up. Giacchino will share conducting duties with Maestro Ludwig Wicki. The program will span his musical work from over the last twenty years, and will give the audience a personal glimpse of the composer through stories and home movies from Giacchino’s childhood. A portion of the proceeds from this concert will go directly to the Royal Albert Hall’s Education & Outreach projects to spread the positive powers of music to new audiences and communities. The Bond Quartet will be celebrating with Michael at his 50th Birthday celebration next month on Friday, October 20th at the Royal Albert Hall in London. They will be performing a string quartet version of “Married Life” with the Cinematic Sinfonia from his Oscar® winning score for the Pixar film, Up. Here is a preview from May 2014 when the group, with players Tania Davis (violin), Eos Counsell (violin), Elspeth Hanson (viola) and Gay-Yee Westerhoff (cello), performed with Michael at a BAFTA Conversations event. Six prominent Hollywood directors that Michael has collaborated with will be at the Royal Albert Hall. Read about it here. Great overview of Michael’s work and what has led up to the upcoming concert at the Royal Albert Hall.